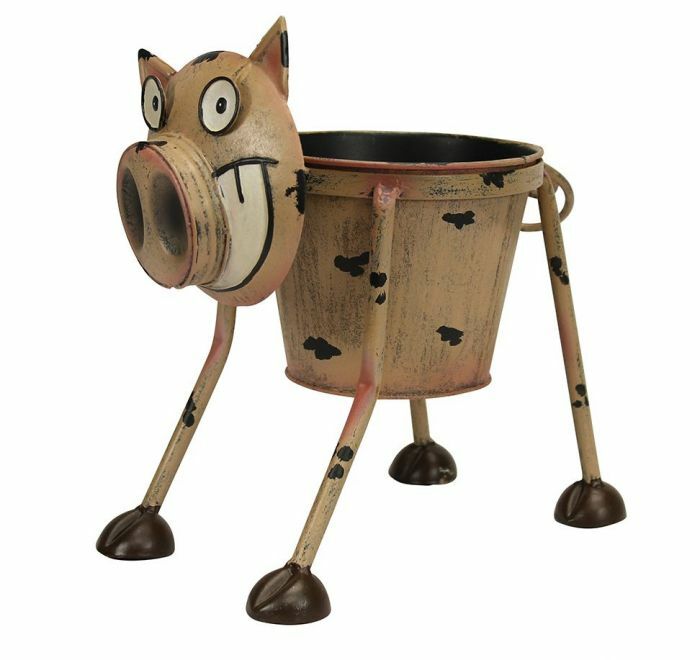 The Metal Nodding Pig planter is a quirky addition to any home or garden. With its exaggerated expression and nodding head, it really is a fantastic alternative to a standard plant pot. The nodding pig is hand-made and painted using a protective weather resistant coating therefore making it ideal for indoor and outdoor use adding character to any space.